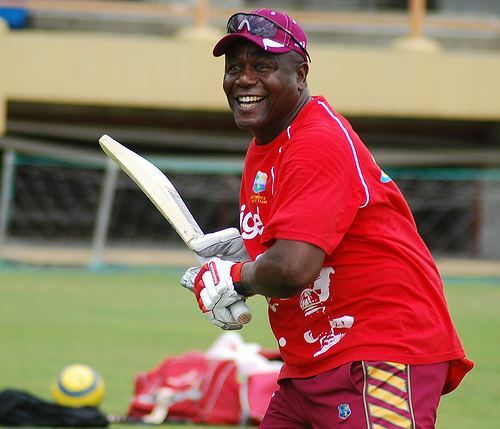 Desmond Leo Haynes (born 15 February 1956) is a West Indian cricketer and cricket coach. He was a Wisden Cricketer of the Year in 1991. 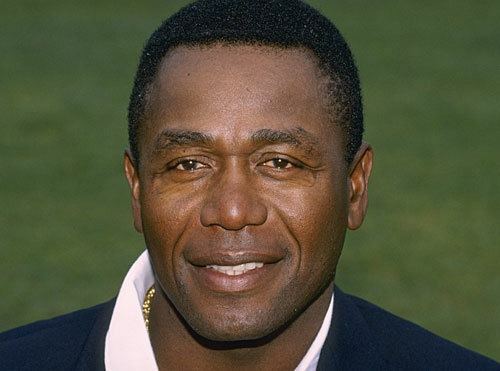 Haynes formed a formidable partnership with Gordon Greenidge for the West Indies cricket team in Test cricket during the 1980s. Between them they managed 16 century stands, four in excess of 200. The pair made 6482 runs while batting together in partnerships, the third highest total for a batting partnership in Test cricket history. Haynes favoured a more measured approach to batting. He compiled 7487 runs in 116 Test matches at an average of 42.29, his highest Test innings coming against England in 1984 with 184 off 395 balls. He is one of the few Test batsman to have been dismissed handled the ball, falling in this fashion against India on 24 November 1983. He is also one of the few players to have scored a century on an ODI debut. 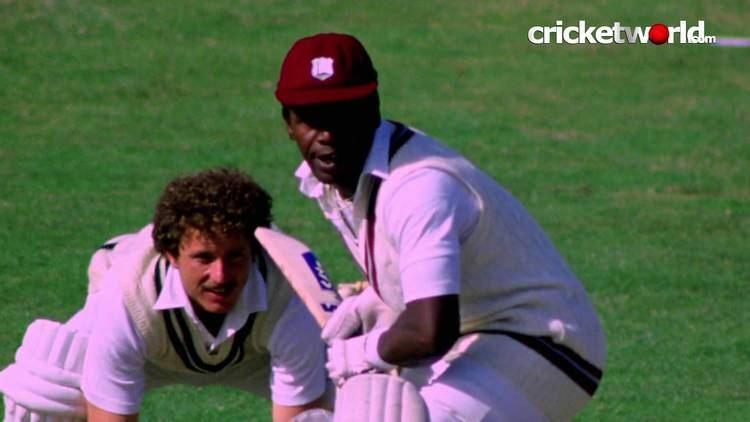 He first made his name on the international scene with 148 at Antigua in a One-Day International against Australia and until recently Haynes held a number of ODI records, including most runs and most centuries. His 148 against Australia came on his debut match in One Day International which still remains the highest run ever made by a batsman on debut in ODI as well as the fastest century scored by an ODI debutant. He played in the World Cup of 1979, won by the West Indies, and returned to the competition in 1983, 1987 and 1992. 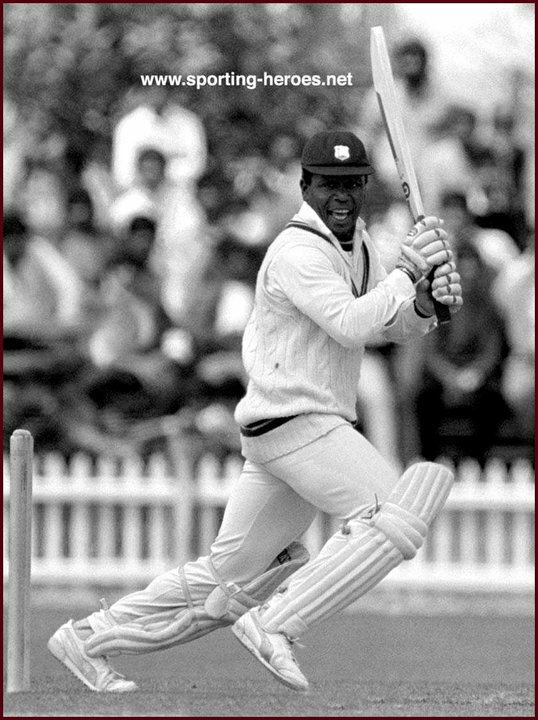 In the 25 World Cup matches, Haynes scored 854 runs at 37.13 with three fifties and one century. As of 10 December 2013 Haynes remains one of the only two players in the history of ODI cricket to have scored century on both debut and last match played, the only other being English batsman Dennis Amiss. Haynes, when facing Australia in the bitter 1990–91 series, clashed verbally with Ian Healy, Merv Hughes, Craig McDermott and David Boon, who christened him 'Dessie'. He is also noted for using delaying tactics against England during the 1989–90 Test series. 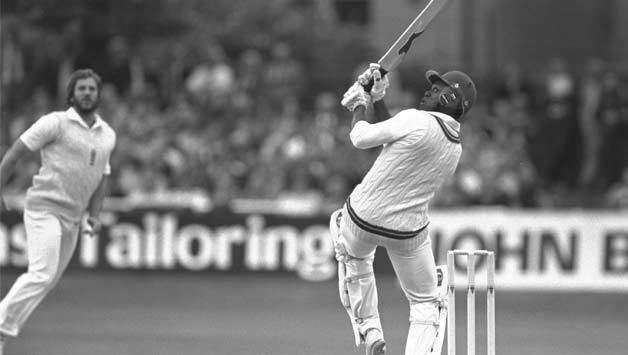 Like most West Indian openers, Haynes was strong against pace and, after struggling against spin early in his career, developed into a strong player of slow bowling, exemplified by his knocks of 75 and 143 against Australia on an SCG dustbowl in 1989. Haynes had a successful career in English county cricket, playing 95 first class games for Middlesex, scoring 7071 runs at 49.1 with a best of 255* against Sussex. He was awarded his Middlesex cap in 1989 and played at Lords till 1994. He played 63 first class matches for Barbados from 1976/77 to 1994/95, scoring 4843 at 49.92 with a top score of 246 and 21 games for Western Province from 1994/95 to 1996/97, making 1340 runs at 40.6 with a best of 202*. In all first class cricket he made 26030 runs at 45.90 and 15651 more in 419 one day games at 42.07 with a top score of 152*. He scored 61 first class hundreds in all and won 55-man of the match awards in all forms of the game. 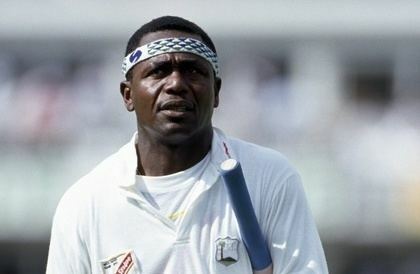 Haynes was only the third West Indian to carry his bat in a Test innings. He is the only player in international Cricket to achieve this feat three times. 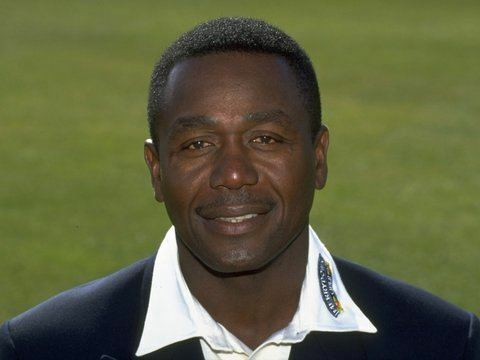 After his retirement from the game in 1997 Haynes has served as Chairman of Selectors of the Barbados Cricket Association, President of Carlton Cricket Club, Secretary of the West Indies Players Association and is currently a Director of the West Indies Cricket Board. He is a former Government Senator and was Chairman of the National Sports Council. His main relaxation is golf. A biography Lion of Barbados was published about him, punning on his middle name 'Leo'.